The Advanced Dental Solutions of Pittsburgh team is dedicated to helping patients fit the costs of their dental treatments into their budgets. 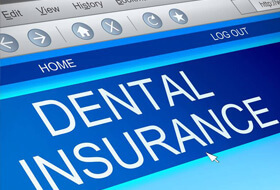 We process and file insurance claims for most major PPO benefit plans to offset the costs of dental care. If you have insurance benefits, our knowledgeable team members will be happy to partner with you to maximize your coverage and minimize out of pocket costs. If you have questions about your dental benefits or want to schedule an appointment at Advanced Dental Solutions of Pittsburgh, give our team a call today. We’re always happy to help patients, and we look forward to putting our expertise to work helping you make the most of your benefits. 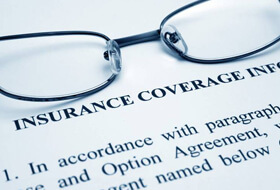 What is the Difference Between Dental Insurance & Medical Insurance? Dental benefit plans are flexible, offering patients the opportunity to choose their ideal provider, and they focus on coverage to keep patients’ smiles healthy. Medical insurance has more restrictions on which physicians patients can visit, and rather than prevention, coverage is geared towards treatment for emergencies and chronic illnesses. We are happy to accept both in-network and out of network PPO dental insurance benefits in our Pittsburgh dental office. Whether or not your insurer is one of our in-network plans, we will do our utmost to ensure you have the lowest out of pocket treatment costs. We are also happy to accept other dental insurance plans. While we don’t have standing agreements with these insurers to charge fees within their set price range, our affordable treatment options almost always fall with the insurer’s set pricing. If you’re concerned about your coverage or feel the fees are too high, please don’t hesitate to talk to our team. We’ll do our utmost to help you better understand your treatment pricing and find the best solution to meet your needs and fit your budgets.